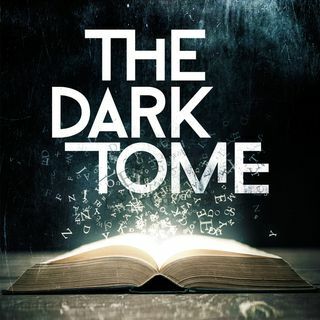 On today's Dark Tome, a special interview with Christopher Golden, the award-winning, bestselling author of such novels as The Myth Hunters, Wildwood Road, The Boys Are Back in Town, The Ferryman, Strangewood, Of Saints and Shadows, and (with Tim Lebbon) The Map of Moments. He has also written books for teens and young adults, including Poison Ink, Soulless, and the thriller series Body of Evidence, honored by ... See More the New York Public Library and chosen as one of YALSA’s Best Books for Young Readers. Upcoming teen novels include a new series of hardcover YA fantasy novels co-authored with Tim Lebbon and entitled The Secret Journeys of Jack London. He edited the collection DARK DUETS in which we discovered the JOE R LANSDALE and KASEY LANSDALE team up, “BLIND LOVE,” and penned his own short story collection, TELL MY SORROW TO THE STONES, where we found the story we adapted for Episode 3 - “BREATHE MY NAME”. We talk to him today about the writer’s life, working in multi-media and the future of audio storytelling.